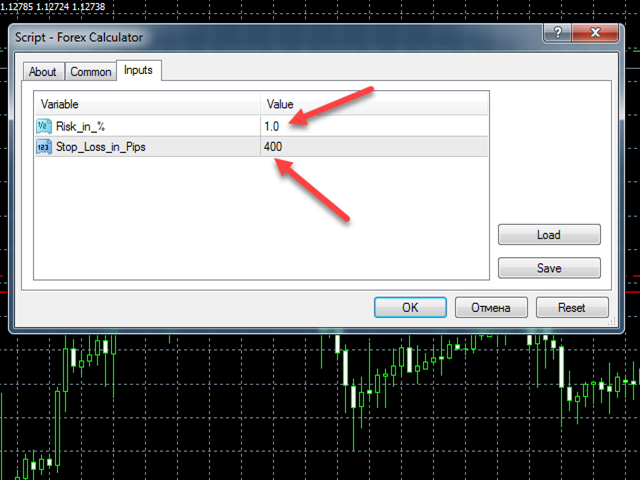 Forex Calculator is a necessary program for every trader. This script allows you to calculate the percentage % of deposit risk, depending on the Stop Loss set in pips. If you like the program, please give vote and share it with a friend. Risk_in_% - the percentage of risk that you want to use in the deal. Stop_Loss_in_Pips - estimated Stop Loss size in pips.